What better way to spend a Sunday than a walk on the northern edge of the North Yorkshire Moors? 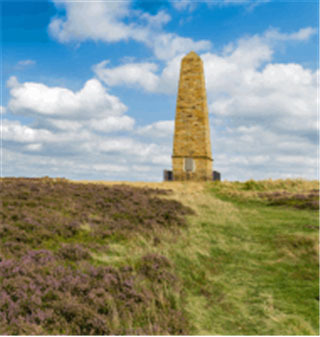 Starting from the centre of Great Ayton, where Captain Cook was born and a pretty village with the usual facilities, the walk will include an ascent of Roseberry Topping, a prominent feature visible from miles around, and Cook’s Monument, a tribute to the legendary explorer, set at the summit of Easby Moor. The walk will start at 11 am and should take around four to five hours, following a seven mile route incorporating ancient woodland, high moorland and of course wonderful views. The total height gain is about 1000 feet, with one fairly short, steep section onto Roseberry Topping, then another much easier ascent onto Easby Moor. Waterproofs should be carried to ensure it doesn’t rain (!) and walking boots worn; warm clothing and a packed lunch including drink will also be required. We will meet in the centre of Great Ayton, by the statue of Captain Cook as a young man on the High Green opposite the Co-op. There is on-street parking in Great Ayton. Following the success of our 2017 annual dinner we are pleased to announce that the 2018 dinner, same great event with a new location The Biscuit Factory. Tickets are limited so you’ll have to be quick! Join NEYCAG and NCASS for this social event at Lane 7, Newcastle. Kindly sponsored by Michael Page this event gives younger members the opportunity to network while having fun. Who will be the bowling champion of the night? The cost of the ticket is £5 and includes admission and 2 drinks from the bar. Join NCASS for an afternoon on the karting track. Race for pride and glory in this team event! Watch the short film below to see the Gateshead track in action! The event will be first come first served and any names received after the first 24 respondents will be added to a reserve list. You will receive an email confirmation of the list of attendees on 7 September 2015. What Else Do I Need To Know about F1K? Customers of F1K are advised to wear comfortable clothing and trainer type shoes. Open-toe shoes and high heels will result in customers being refused entry to the circuit. We advise all drivers to arrive at least 45 minutes before your stated drive time. Drivers will need to be at least 150cm in height and have an inside leg length of 60cm. Scarves and neck-wear must be removed before driving. You are more than welcome to wear your own helmet, provided it is full face and has a visor. Customers using our helmets are asked to provide personal head coverings for hygiene reasons. Balaclavas are available at reception for only £2 and are yours to keep. For more information on the venue please see the F1K Karting Gateshead website. It is estimated that half the FTSE 250 in 2025 will be made up of firms that were not even born in 2014. So what will the business world look like in 25 years’ time? We can’t predict the future but we can look at the most likely scenarios. 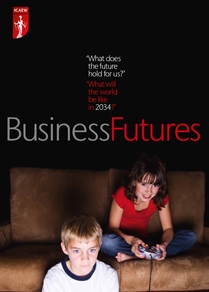 The ICAEW is developing its BusinessFutures project to consider the issues which will affect the future of business. Last year ICAEW launched the BusinessFutures project in Liverpool, at the International Festival for Business, which explored the issues that will affect businesses over the next 20 years. Four key issues including changing education needs, demand for water, ageing population and changes in tax regimes were discussed. This year we have establishes three new groups which we will look at the impact in how we access energy, new developments in urbanisation and changes in public spending. More information on the BusinessFutures project can be found here. The Northern Chartered Accountant Students’ Society (NCASS) invites you to join them for their Annual Dinner in Newcastle on Friday 28 March 2014. This year’s dinner will be held in the Banqueting Hall at Newcastle Civic Centre, raising money for Zoe’s Place, the baby hospice in Middlesbrough. This will be a great night for networking with fellow professionals as well providing the opportunity to wear your black tie outfit! The ticket price is £37.50 per head (or £350 for a table of ten) and includes a cava reception, a three course dinner plus DJ and dancing until late. 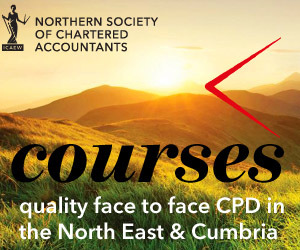 To book your tickets please contact Joanne Lucking 0191 300 0532 or email joanne.lucking@icaew.com. You can find out more about the charity NCASS will be supporting again this year by following this link to Zoe’s Place.